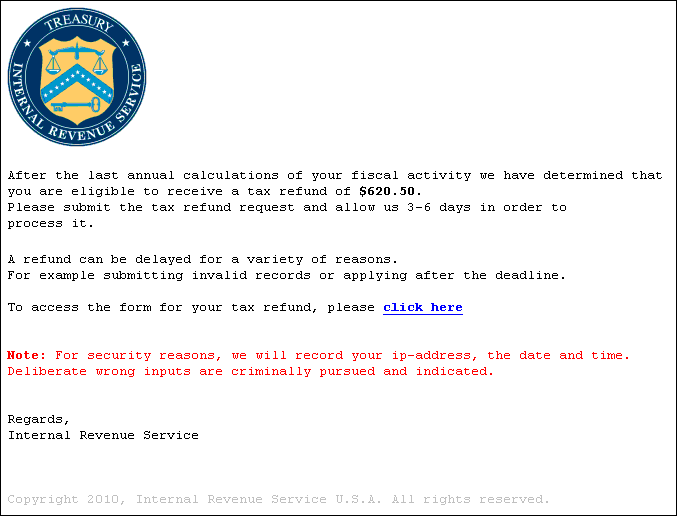 You may not want to think about your taxes until Tax Day on April 18, but online scammers are already plotting to separate you from your tax refund and your identity. Scams for the 2011 tax season include promises of tax credits for charitable donations to disaster relief in Japan, malware-laden Websites optimized for search engines, dangerous e-mail, and so-called 'likejacking' techniques found on the social network Facebook. 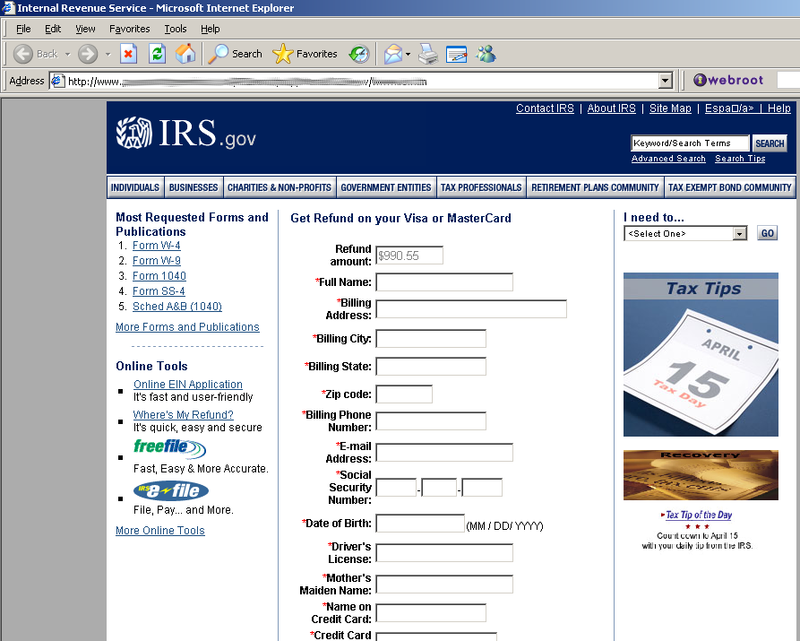 A phony IRS Website designed to trick you into downloading malware. Image courtesy of Webroot.